What is the best way to find the desired goods on an e-commerce website? Browsing always takes a lot of time mainly when the catalog consists of thousands of products. Layered navigation contains lots of filters that make the search a little bit more difficult than it should be. So, how can a customer discover what he/she is looking for most easily? With the help of the catalog search field. 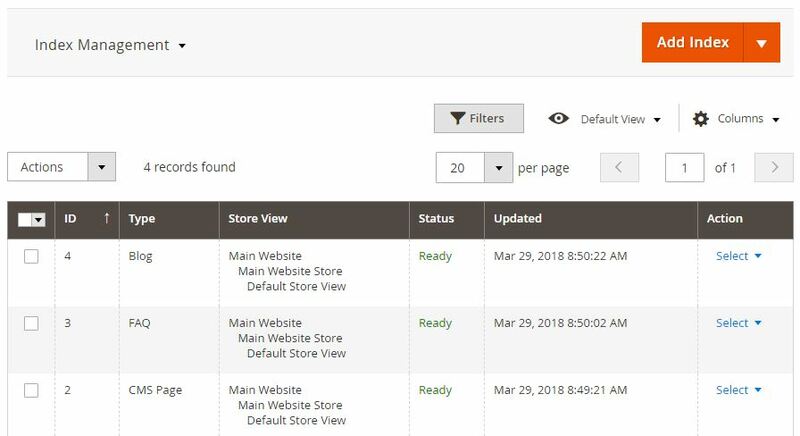 Unfortunately, the Magento 2 search is limited, but you can improve the default user experience with the support of such third-party modules as the Magento 2 Advanced Search extension by Aheadworks. Tweak search results from the backend. Looks like every reliable Magento 2 search extension, but don’t make any conclusions before we explore all aspects of the plugin. The first thing that distinguishes Magento 2 Advanced Search extension by Aheadworks from many competitors is a carefully optimised workflow. The extension is built upon standard use cases so that both store visitors and backend administrators can leverage the better workflow. It is only necessary to start typing the query to get the first results. The more characters are in the search field – the more precise search results are. 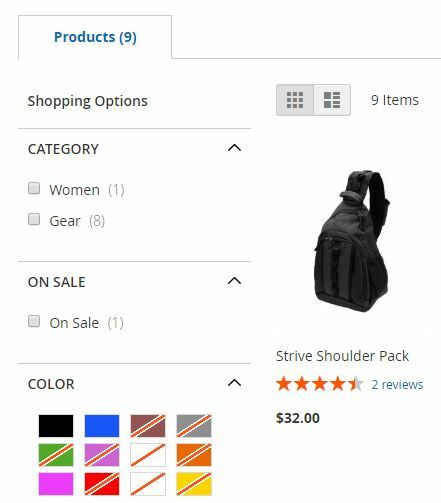 The Magento 2 Advanced Search extension by Aheadworks displays not only products, but CMS pages, blog posts, and FAQ content. Thus, every search query can be easily satisfied. 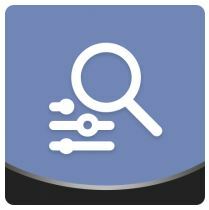 The whole search process becomes much more straightforward, and if a customer is trying to find something apart from products, he/she will get the corresponding results without delays due to Elasticsearch. Let’s figure out core benefits your customers get with the Advanced Search Magento 2 extension by Aheadworks. First of all, it is autosuggestions. The search field displays lots of content. As soon as first characters appear in the search box, a customer is introduced to multiple content types including the history of recent searches and more precise product selection based on improved synonyms. The ‘Did you mean’ functionality is also enabled so that spelling correction is applied to all queries. 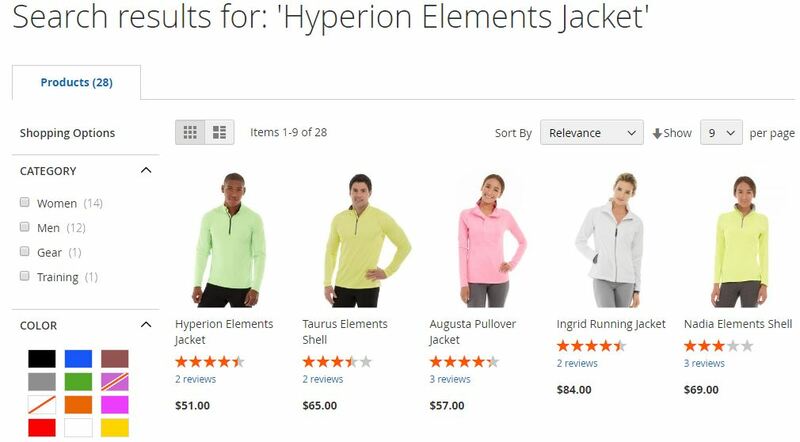 And since customers sometimes use the search field to discover something apart from products, the Aheadworks Advanced Search Magento 2 extension makes all the necessary information available. As we’ve just mentioned above, the search results include static pages as well as posts from the blog and FAQ section. Note that for the last two content types, the integration with the appropriate modules is required. 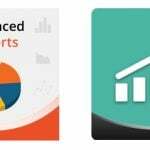 Besides, Aheadworks makes search great on mobile devices, provides a positive impact on the performance of the layered navigation, and offers advanced index management capabilities. The backend and frontend sections illustrate all these and other improvements, but let’s explore admin-faced advantages of the extension first. 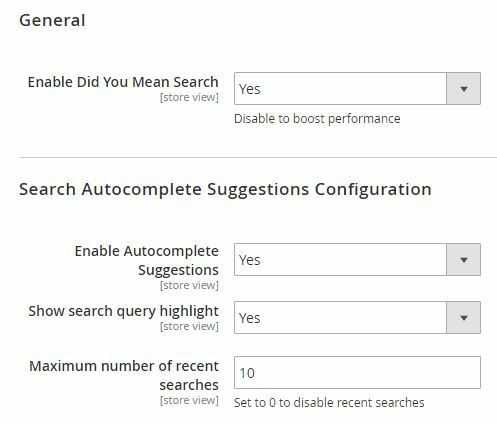 From the perspective of a Magento 2 administrator, the Advanced Search extension by Aheadworks opens lots of additional opportunities. For instance, it allows managing searchable attributes. It means that the weight of every attribute can be configured manually.As a result, you get the ability to tweak search results introducing products you want to display first on top of others. Another great feature is related to search synonyms. The extension is fully integrated with native Magento 2 synonyms, but you can always add your search terms improving the current search capabilities. And it is possible to create a new search group right from the page with search term results. It is also necessary to mention that the Advanced Search Magento 2 extension introduces an advanced failure prevention system. If something is wrong with Elasticsearch, the extension automatically switches to native MySQL, and customers get the results. All these features look promising, so let’s take a look at their backend implementation. You can discover the extension under Stores -> Configuration. First of all, open the ‘Catalog’ tab and go to the ‘Catalog Search’ section. Here, you can specify a minimal query length. The optimal number of characters is 3: the extensions provide filtered results very fast. To make the suggestions list more precise, specify ‘4’ in this field. At the same time, you can also set a maximum query length. Thus, you will prevent customers from typing too long queries. Next, it is also necessary to select a search engine. To enable the Aheadworks Magento 2 search extension for the catalog search, select ‘Advanced Search’. As for the second possible option, it is ‘MySQL’ – the default search engine of Magento 2. You should also choose ‘Elasticsearch’ in the ‘Advanced Search Engine’ field. Then, specify Elasticsearch server hostname, port, and index prefix. You can also enable/disable Elasticsearch HTTP authentication and set a server timeout. Besides, there is a button that allows testing the connection. Now, we can proceed to Aheadworks Extensions -> Advanced Search. The tab is divided into two sections: General and Search autocomplete Suggestions Configuration. The first one allows enabling/disabling the ‘Did you mean’ functionality. As for the second tab, it provides the ability to turn on autocomplete suggestions and search query highlights. The maximum number of recent searches may be specified here as well. Now, let’s say a few words about search terms. 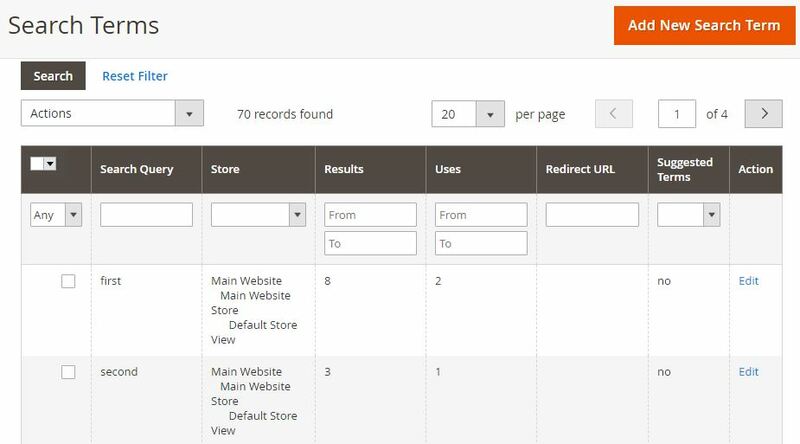 The Magento 2 Advanced Search extension offers a grid that gathers all of them. You can view a search query and the corresponding store view, number of results and uses, redirect URL, and relation to suggested terms. 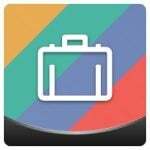 It is possible to delete or add search terms to synonyms in bulk. Both options are available in the ‘Actions’ drop-down. While editing a search query, you can change its text, store view, number of results and uses, as well as a redirect URL. Besides, you can show/hide the search term in suggested terms. Now, let’s pass the index management process. The appropriate grid is available under Marketing -> Index Management. 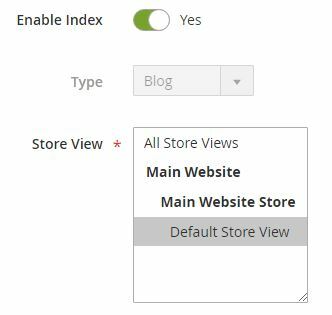 It consists of the following 7 columns: checkbox, ID, Type, Store View, Status, Updated, and Action. It is possible to edit, delete, or invalidate each grid item individually. As for mass actions, they allow deleting or invalidating items in bulk. While editing an index, you can enable/disable it, view its type, and choose a store view. Next, there is a grid with searchable attributes. You can specify a new weight for every attribute as well as add new attributes. You must admit that the backend section of the Advanced Search Magento 2 extension by Aheadworks is very intuitive. It is easy to master so that everyone can apply the necessary configuration. Modules developed by Aheadworks are very popular because you can always apply the necessary solution without a team of specialists with the minimum time expenditures. But what about the frontend experience? In case of a Magento 2 search extension, it is much more important. Let’s enter the search query ‘jacket’. The results appear right after you type the second character. You can see the list of suggestions with the corresponding categories. 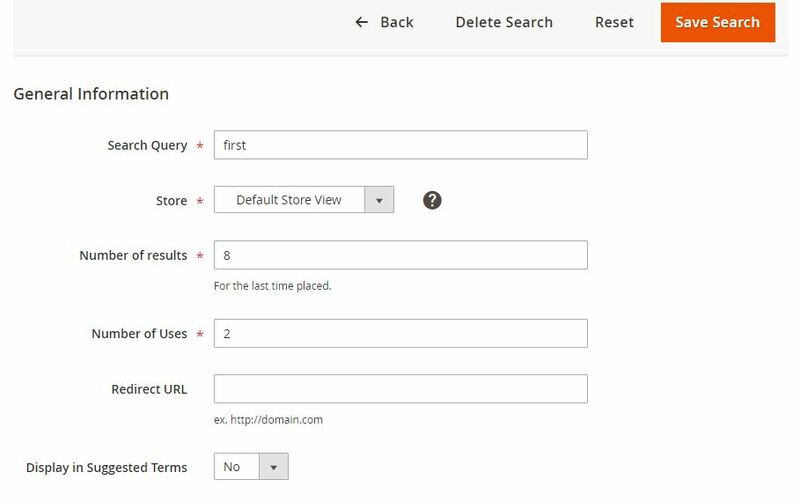 The Magento 2 Advanced Search extension by Aheadworks doesn’t provide the ability to add a product to the cart right from the drop-down like several modules do, but it rapidly shows the most relevant results suggestions. A customer hit the proposed query, and the module redirects him/her to a corresponding page. For further searches during one online session, you will see a section of recent search suggestions right after placing the cursor in the search bar. If a search term is assigned to a particular synonym group, the results will contain all the terms included in the particular synonym group. 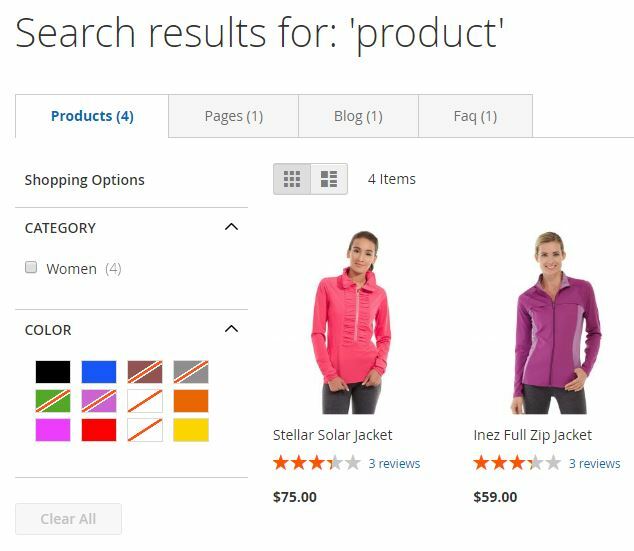 By default, the Advanced Search Magento 2 extension by Aheadworks allows searching through product and static pages. Results are divided into corresponding groups. As for the aforementioned integration with the blog and FAQ section, you need appropriate extensions by Aheadworks to be installed. Another user-friendly improvement is related to the integration with the native layered navigation. This time, the integration with the Layered Navigation extension by Aheadworks is also required. As a result, you allow customers to filter search results by product attributes narrowing down the selection of products.